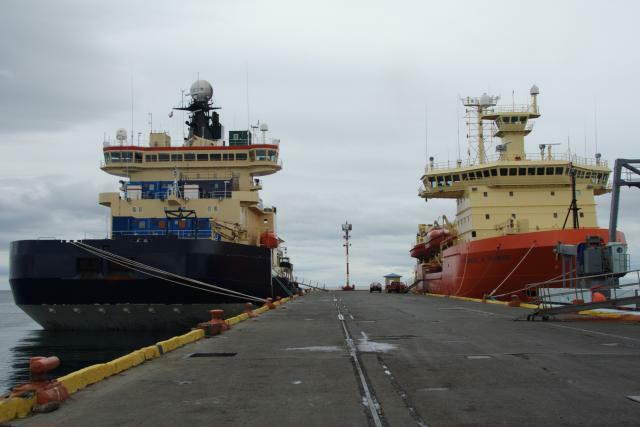 Here a the two icebreaker Oden (left) and NB Palmer (right) side-by-side in Punta Arenas. The Oden is the main Swedish icebreaker and the NB Palmer is the main US icebreaker operating in Antarctica. Punta Arenas is starting point for many marine research expedition to Antarctica.